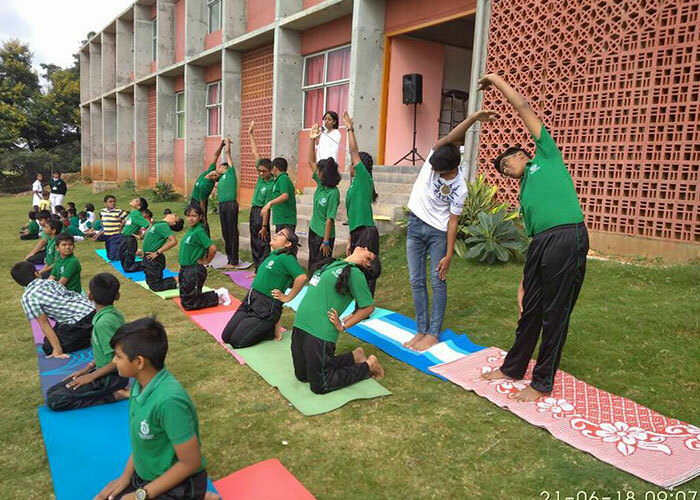 The International Yoga Day was observed at DPS, Mysore Road on 21/06/2018. 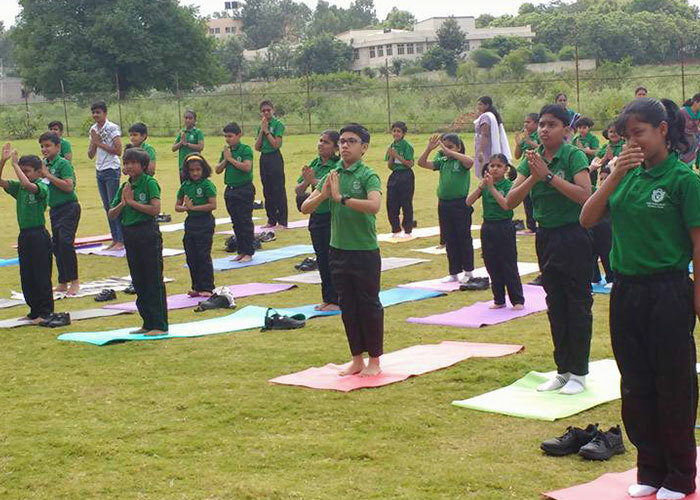 The extended assembly in the play area started with a prayer followed by suryanamaskaara and formations of different Asanas. 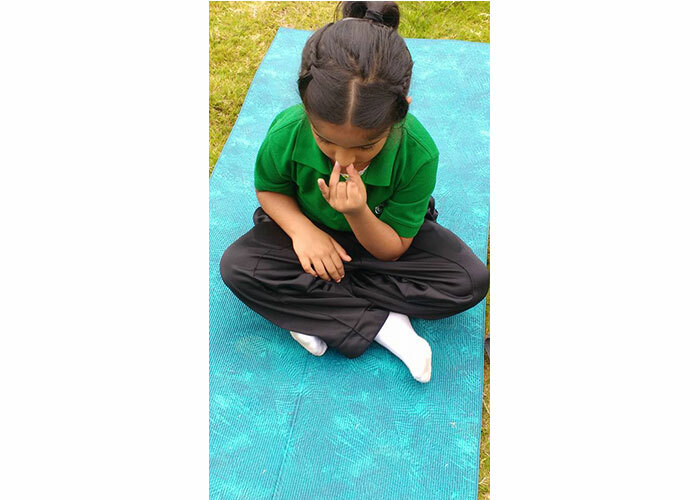 Ms Jane spoke about the significance of Yoga and pranayama and took them through the deep breathing exercises. 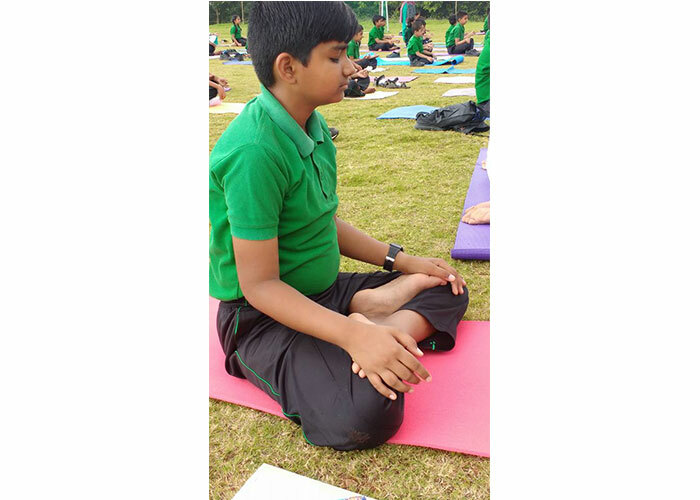 Students and teachers performed yoga and felt refreshed. 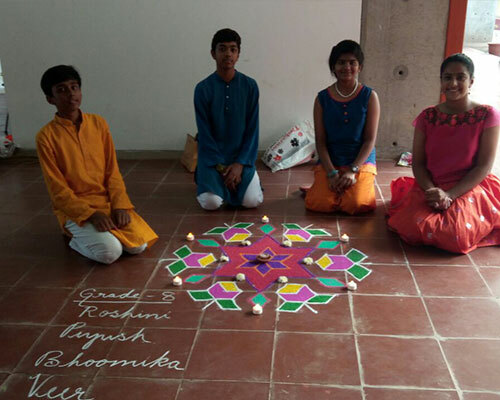 We are extremely delighted to share our first experience of 'DPS Literati-2018'- A Fun-filled Collaborative Event, with the students of our neighborhood schools namely, Tattva, BGSIRS and NPS Kengeri, along with their Teacher Representatives on Friday, February 9. 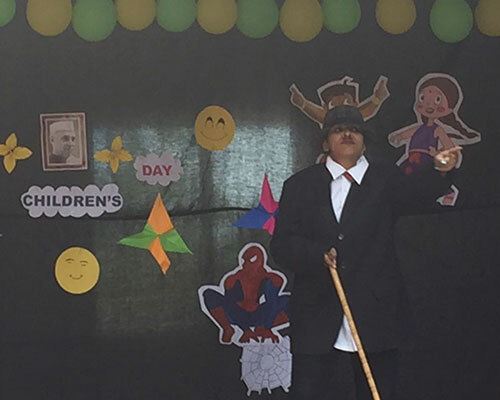 The event was exclusively organized by the English Department of DPSMR, for grades 6 to 8, with the purpose of making Collaborative learning a delightful experience for the students. 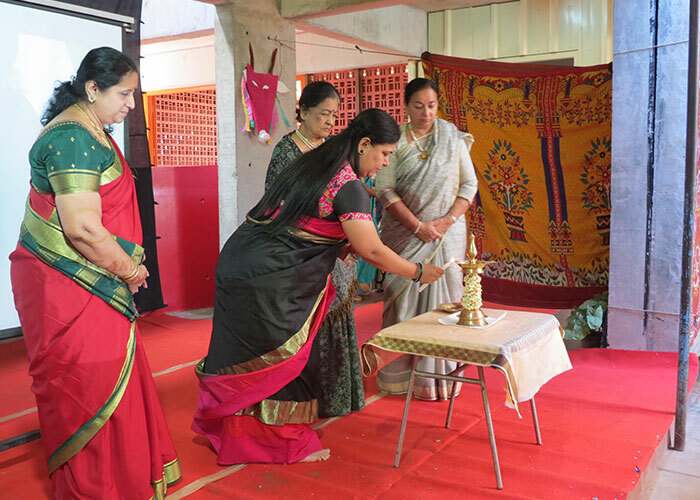 Respected Principal Shashikala Ma'am formally addressed the event and explained to the guest schools the purpose of the event and wished the participants all the best. 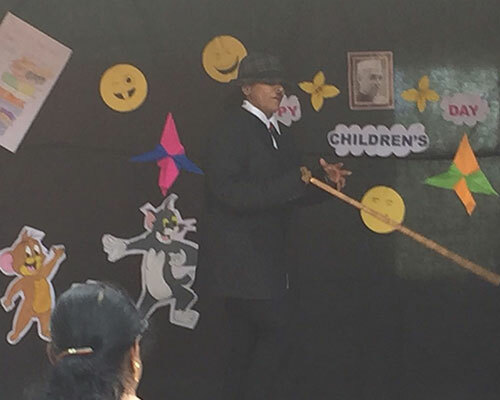 Following the speeches by the Head boy, Piyush, The Head Girl Sparsha and The Student Coordinator of Literati DPSMR, Veer, was the humorous recitation of the poem Sick by Shel Silverstein by the students of grade 6, 7 and 8. 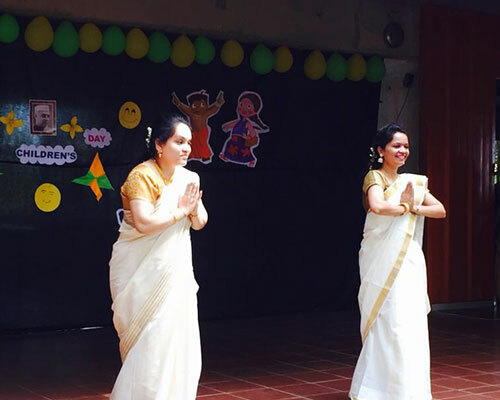 The students of DPSMR, displayed exemplary hospitality and made their guests feel comfortable. LITERATI 2018 comprised of three activities- Spell Bee, Caption Contest and Just A Minute - JAM. 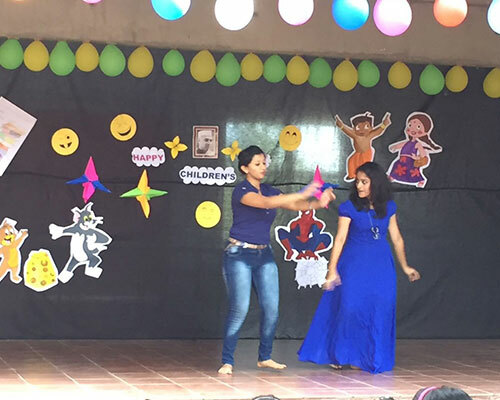 The students showcased their power-packed and mesmerizing speaking skills, imagination, creativity and vocabulary as they thoroughly enjoyed and expressed themselves. 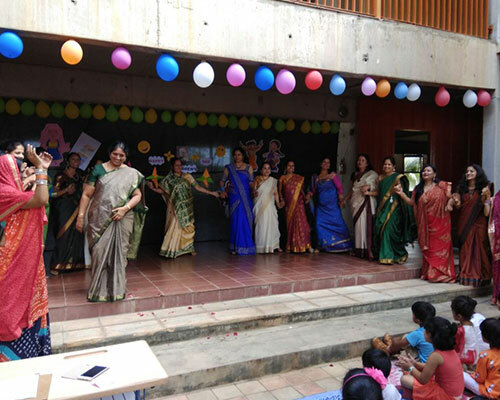 To encourage the students to put in their best in classroom activities, these activities were judged by judges allocated for each activity and prizes were given to the deserving students. Participants too, were motivated as they received participation certificates for exhibiting their talent in Literati-2018. 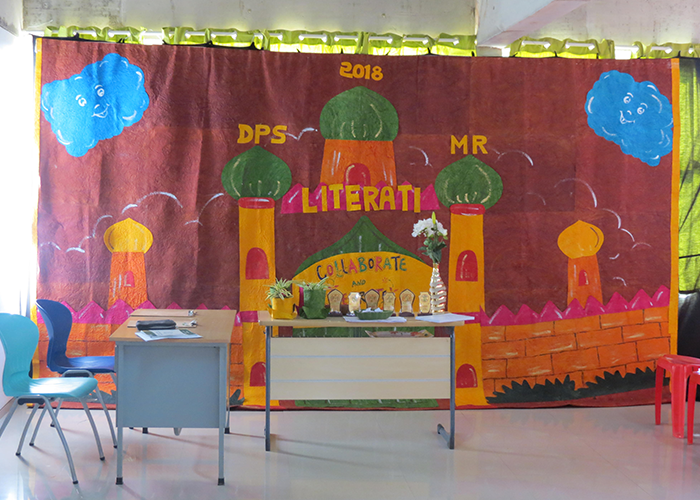 We thank the participant schools, for their earnest involvement and persevering participation in Literati-2018. 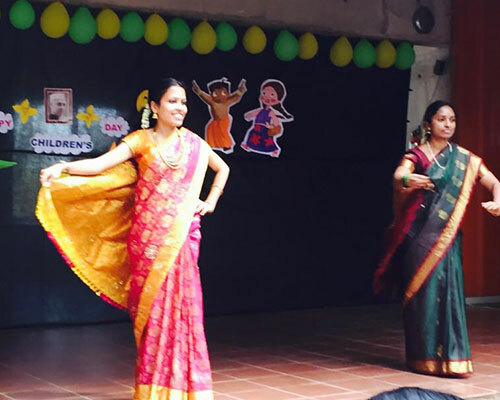 Cultural Fest was one of the most anxiously awaited occasions at DPSMR. 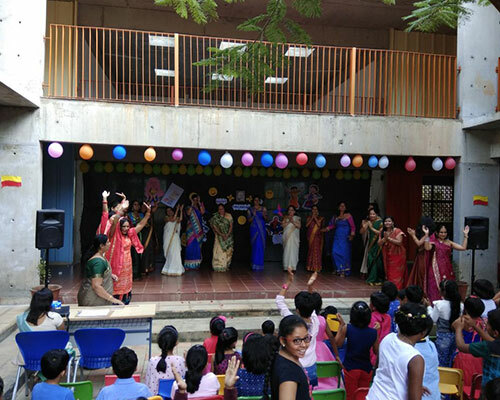 On Saturday, 3rd February 2018, the great excitement and hurried activities were visible all around as the students, after the process of rehearsals and run through for the last two months, were exuberant to showcase their talent on the stage to the large audience. 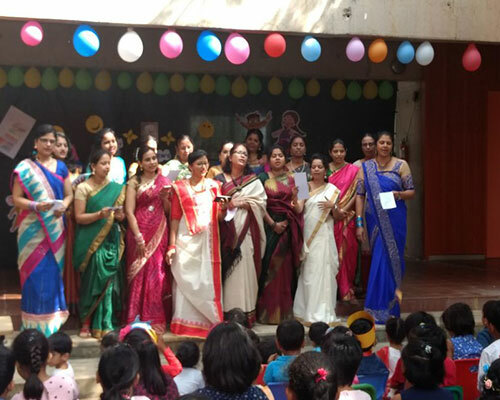 Cultural Diversity of India was exhibited through songs and dance forms like Kolata- Karnataka, Goan Dance, Pinga- Maharashtra and Bhangra- Punjab by the students of Primary section whereas Ethnic Ramp Show by little munchkins was much enjoyed by respected Principal Shashikala Ma'am, honourable chief guests and Parents. 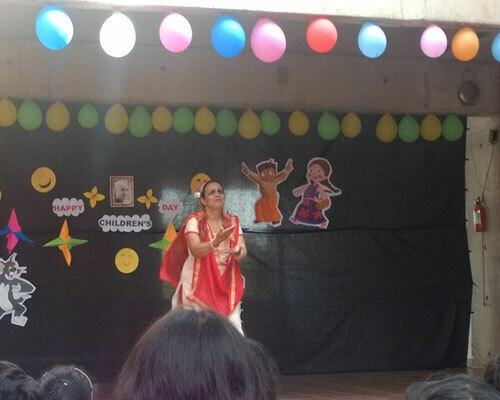 Mythological Dance-drama Bhakta Prahllad, conceptualized and choreographed by the dance teacher Ms Shubha, elated the excitement even more. 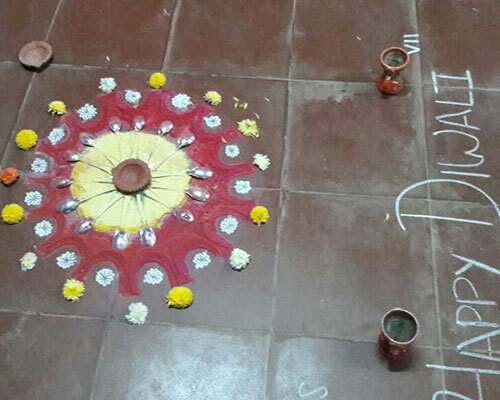 The stage set up was designed by the Art teacher Me Rakesh, which was a crowning accomplishment. 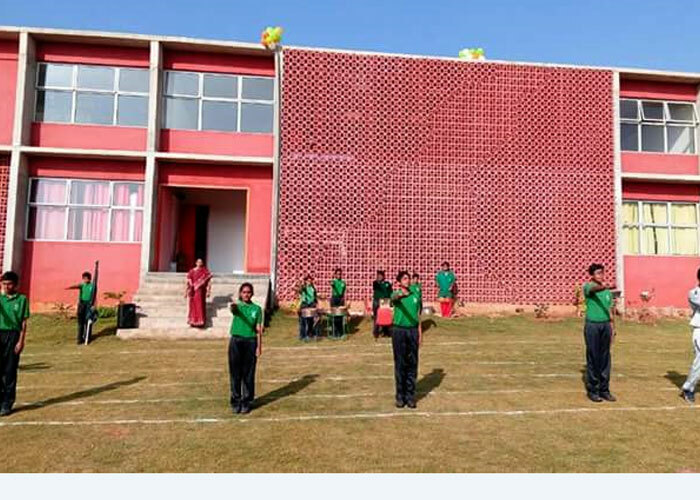 The Cultural Day ended with the prize distribution ceremony for the Sports Meet. 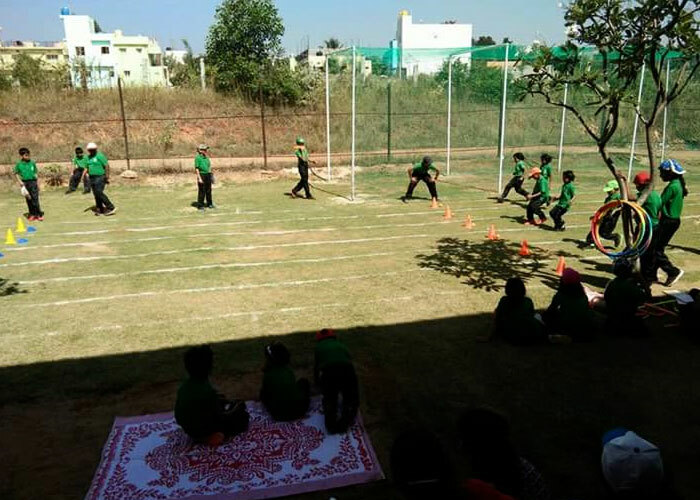 Tremendous amount of hard work was what, exhibited by the young athletes of DPS, Mysore Road on the 2nd Annual Sports Meet on December 15, 2017. 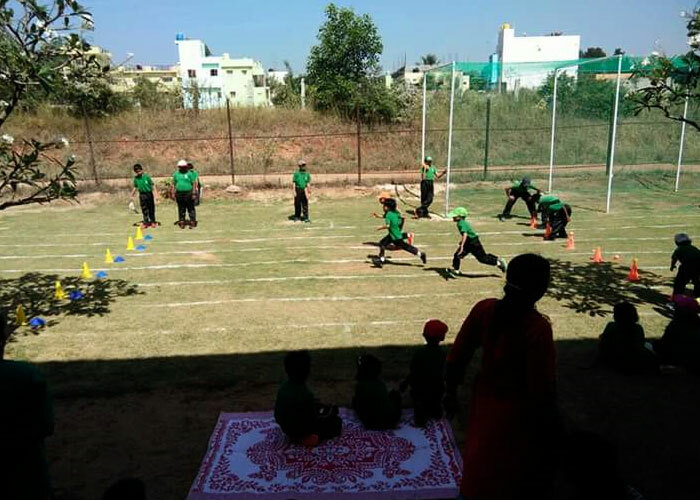 The young players were trained and guided by the Sports Teacher, Prashanth Sir, exclusively for the Meet. 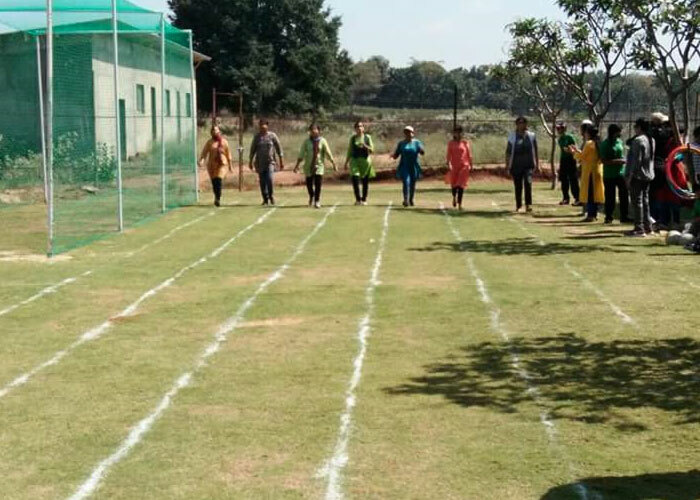 Events like running races, obstacle race, three legged race, relays, lemon and spoon and many more were thoroughly enjoyed by the students and the staff. 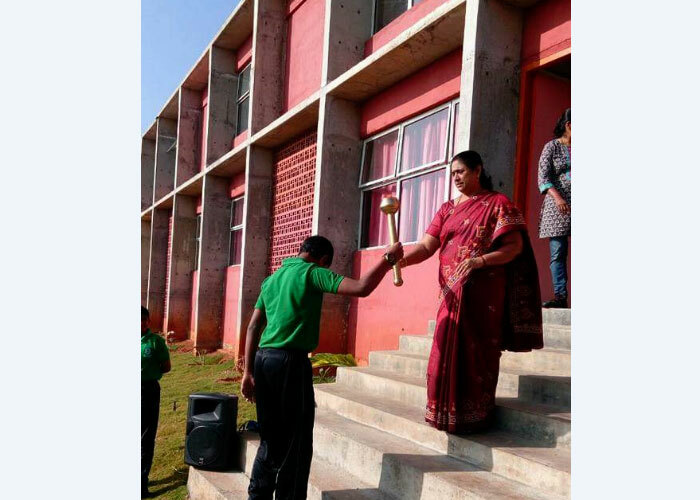 The event began with warm welcome words by a student followed by Torch Bearing Ceremony, declaration of Sports Meet open and Oath Taking ceremony by the Sports Captain. 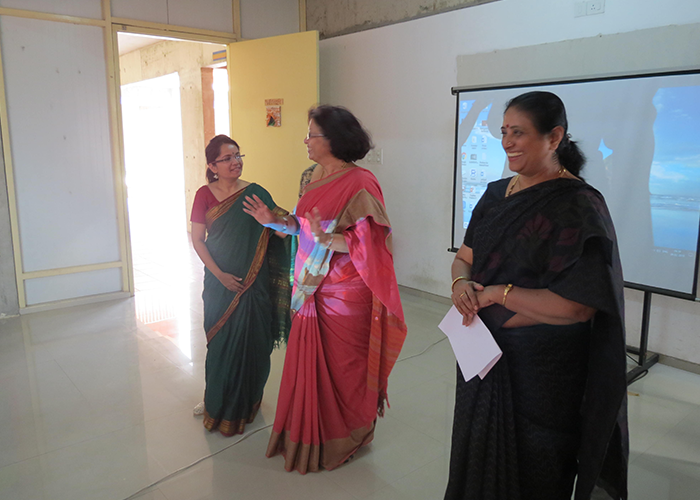 Respected Principal and the Chief Guest for the event, Shashikala Ma'am addressed the Meet and gave her best wishes to the students. 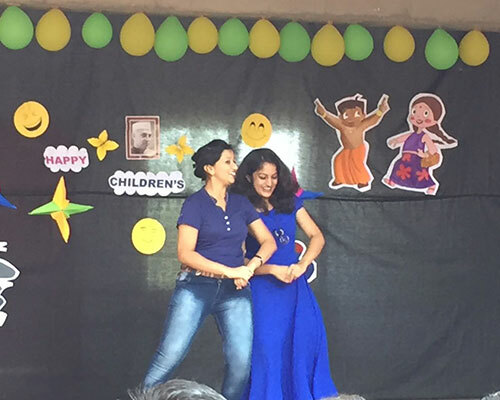 Ms Padma played her part as a host of the event with her articulated skills, which made the event even more vibrant. 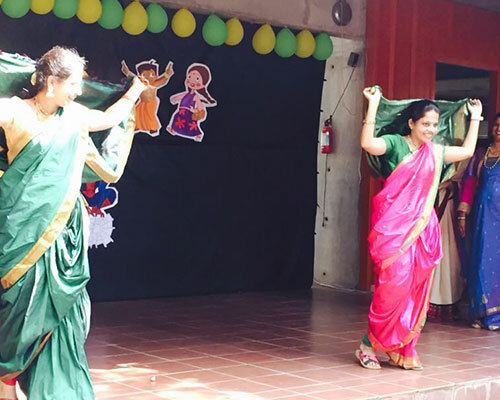 Variety of events were planned and successfully executed for the students from Pre-primary to Grade 8. 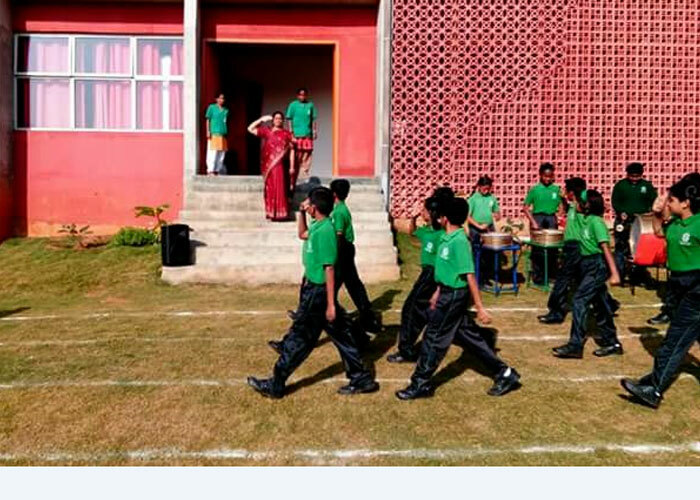 The senior classes displayed their Marching skills, in March Past whereas the primary section exhibited their Mass P. E Exercises on the field. 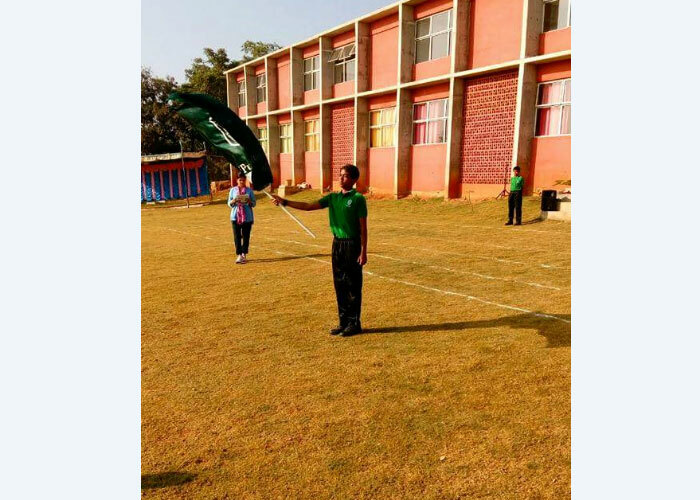 Teachers too, exhibited their sportsman spirit in the field and involved themselves in the sports events planned for them. Second half of the day was filled with cheering for their teams who played the matches of cricket and football. 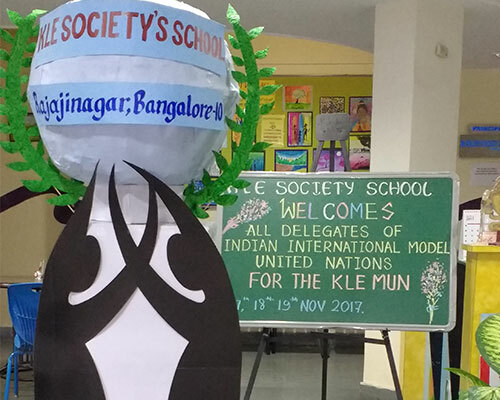 Indian International Model United Nations (IIMUN), KLE School, Rajajinagar, Bangalore 2017. And suddenly you know.. 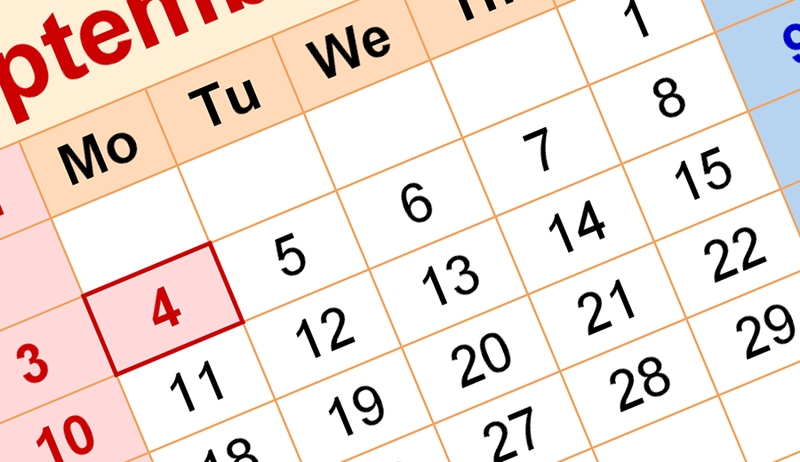 It's time to start something new and trust the magic of new beginnings. Veer Gowda, were all set to attend the Indian International Model United Nations Bangalore, 2017, at KLE School, Rajaji Nagar, from November 17 to November 19. 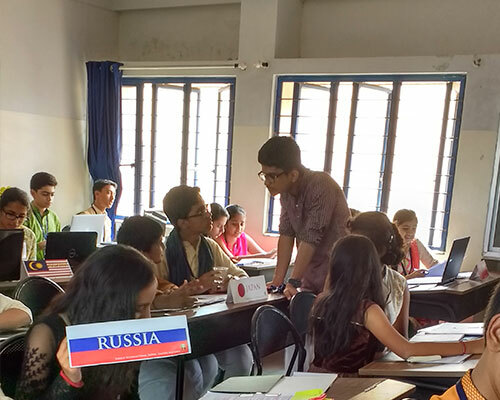 Model United Nations, also known as Model UN or MUN, is an educational simulation and/or academic activity in which students can learn about diplomacy, international relations, and the United Nations. MUN involves and teaches researching, public speaking, debating, and writing skills, in addition to critical thinking, teamwork, and leadership abilities. 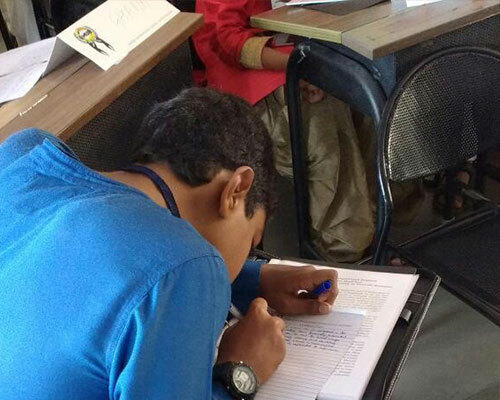 Usually an extracurricular activity, some schools also offer MUN as a class. Participants in Model United Nations conferences, known as delegates, were placed in committees and assigned countries, where they represented members of that body. The students had put a lot of hard work with their assignments during preparatory time, along with topics that their committee had discussed during the sessions. The Delegates conducted research before conferences and formulated positions that they would then debated with their fellow delegates in the committee, staying true to the actual position of the member they represented. At the end of a conference, the best-performing delegates in each committee, as well as delegations, were recognized with awards. 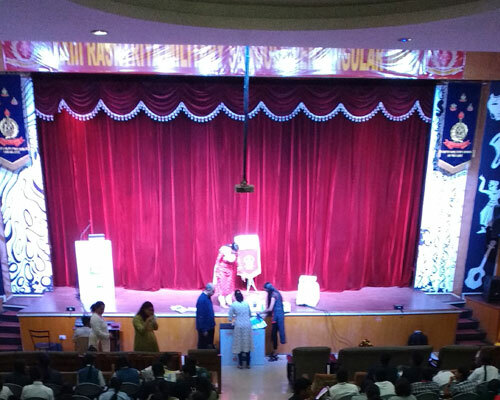 The students, here Delegates were sent to the conference with a brief session and best wishes from respected Principal Shashikala Ma'am. 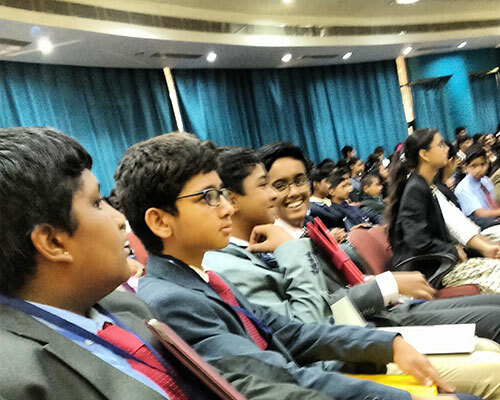 The young Delegates had a thorough educational experience during the conference, which they shared enthusiastically with their classmates and teachers. 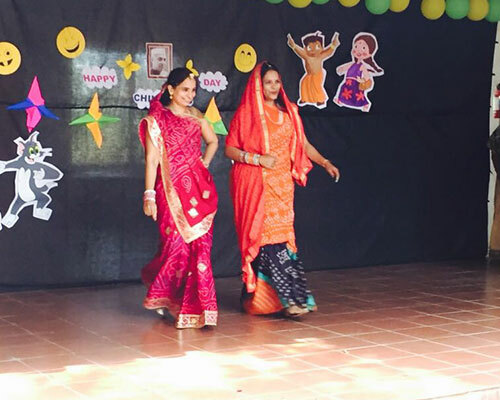 Children’s Day was celebrated on 14th November 2017 in the school. 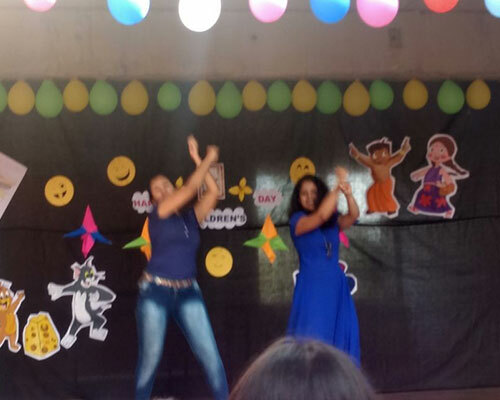 It helped the children to rock and roll and brought out the child in each teacher. The day began with special assembly, in which teachers participated with News reading, a 2 minutes talk, Thought for the day etc. 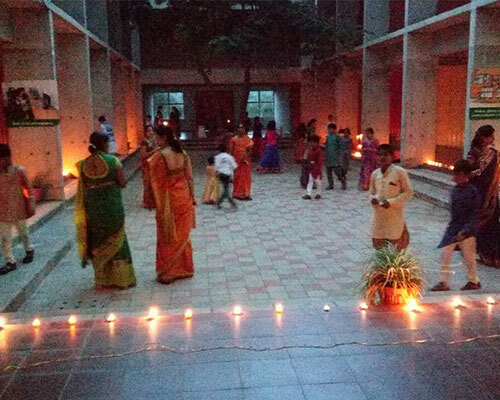 This was followed by cultural activities. 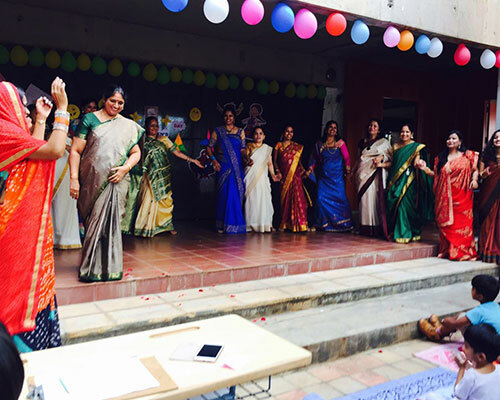 It began with an Invocation Song, Dance (Retro-Metro) both performed by teachers. 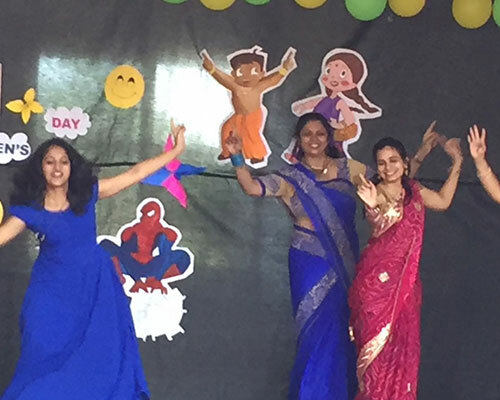 Kinder Garten children participated in a Fancy Dress competition. (theme- Aquatic Animals) . 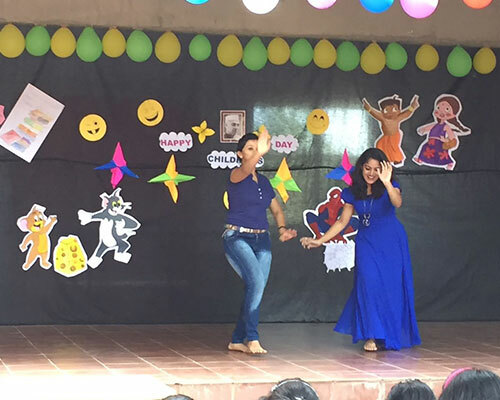 All teachers joined in singing the Grammy Award winning song “We are the World, we are the children”. 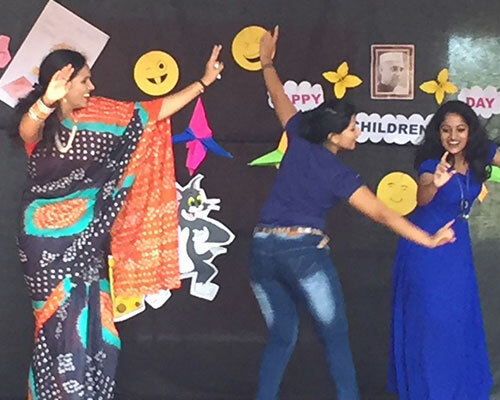 KG Teachers also performed a mime to entertain the children dressed as Charlie Chaplin. 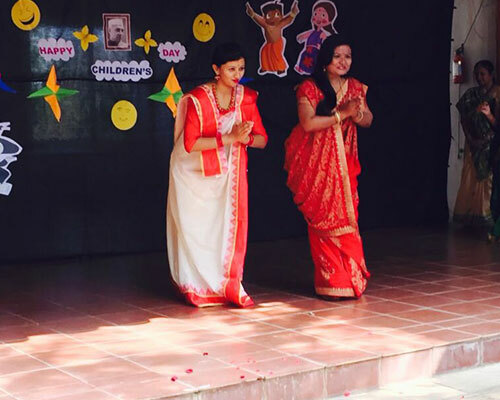 “Saree Fashion Show” was indeed the showstopper programme for the day by all the teachers. All the children melted into the taste of cotton candy and relished the popcorn to their heart which was provided as a treat to them. End of the day, it was a day to remember for Children and Teachers for a long time to come. A film by Charlie Chaplin in black and White was shown. Information about ambulance was shared with kids keeping the theme of White. And the importance of #108 was highlighted. Crossing the road at the Zebra Crossing was taught to kids, thus stressing on road safety, through black and white theme. 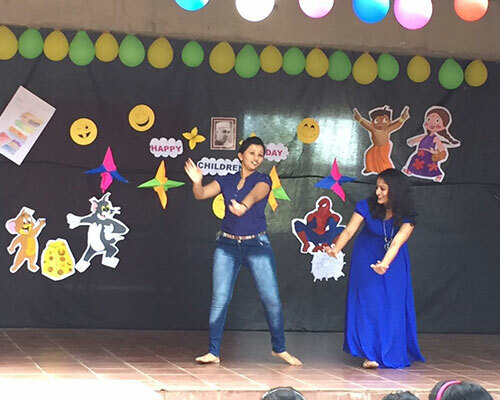 Children danced and sang a song on Black and White colours. 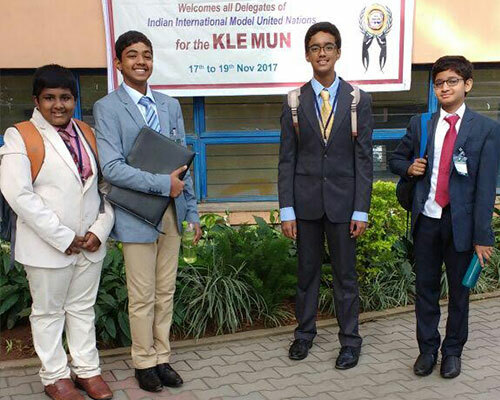 We are proud to announce that our students of Grade VII and VIII, Dhruva Shankar, Akhil Philip ,Pranav Pranav ,Veer Gowda, participated in a 3 day conference as Delegates, in The Indian International Model United Nations, Bangalore, 2017, from 17 to 19 of November, at KLE School, Rajajinagar. Fruitful learning at the Committee Sessions, inspired the young Delegates to be leaders for tomorrow. 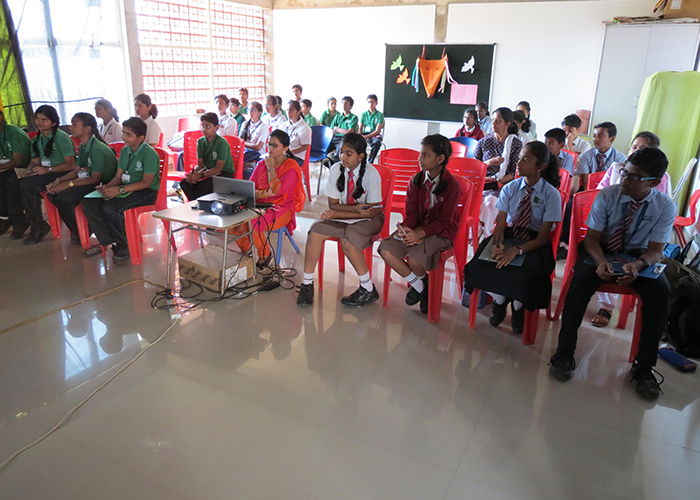 The students also got sensitised about the Functioning of the UN. 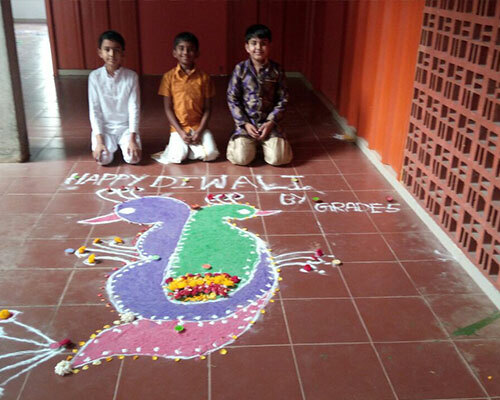 Diwali festival of lights came alive at DPS Mysore road when all pre-primary students were dressed up colourfully in their traditional attire on 17th October 2017.Panel board of U.K.G was decorated with colourful lamps and diyas made from origami paper.Students sang a Hindisong and danced during assembly activity. 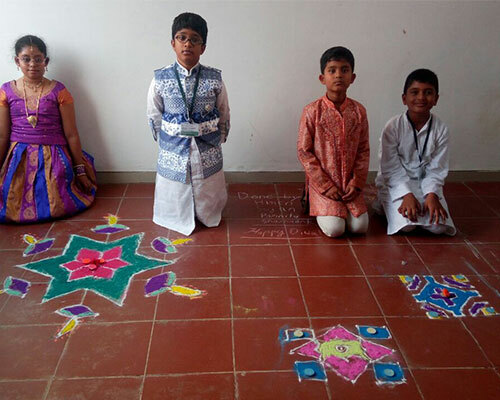 Story behind the festival of Diwali was told to children. Safetyprecautions were also explained to them. All the students made greeting card using origami paper and thumb print activity. 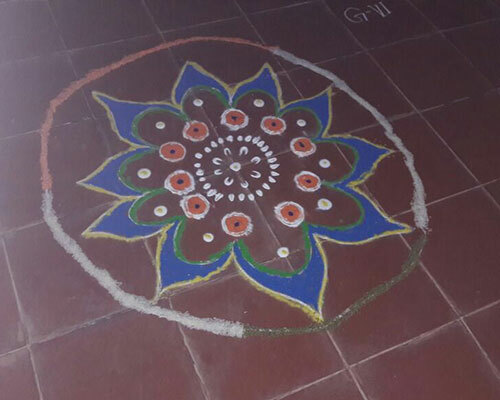 The Primary and middle school children stayed in school till late evening. 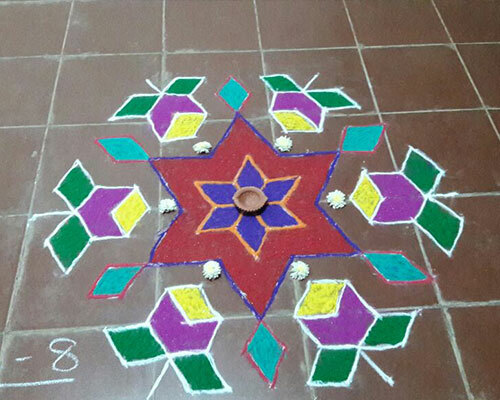 They had rangoli competition, Diya decoration and lighting of diyas. 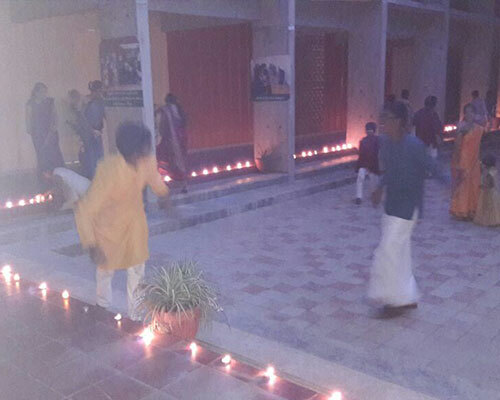 They also had the dandiya night. They swayed to the steps of fast movie songs. The dance between the diyaas looked very colourful and elegant. 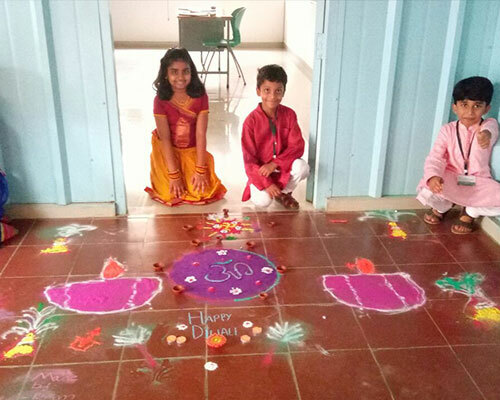 Children learnt and experienced the joy of celebrating festival in social group. 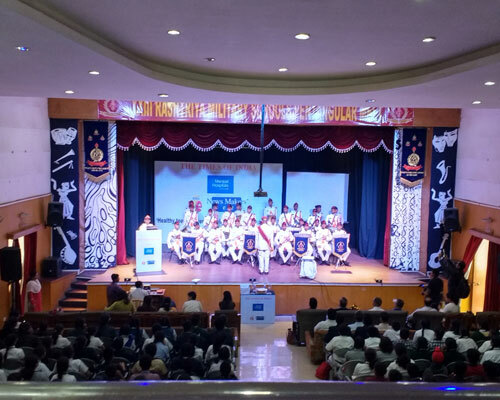 Veer Gowda and Dhruva, the TWO Times NIE School Reporters from classes 8 and 7 respectively of DPSMR, attended the annual Times NIE News Makers Meet 2017– 18 on October 31, 2017, at Rashtriya Military School, Hosur Road, Bangalore. 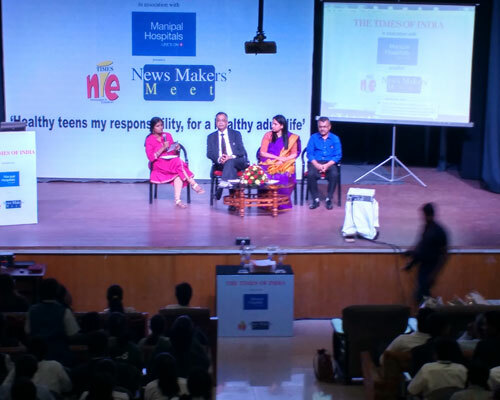 The Newsmakers meet in association with Manipal Hospitals was a rare opportunity for school reporters to share the stage with civic corporators of high ranking. It was also a platform for School Reporters to interact with the prestigious editorial team of The Times of India lead by the Editor and understand the nuances of journalism. 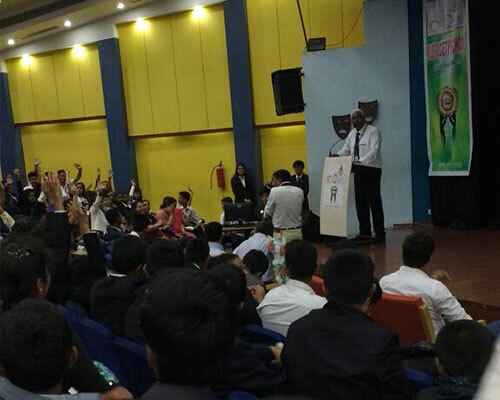 The students also participated in a mock press conference on the topic ‘Healthy teens my responsibility, for a healthy adult life’ with the honourable chief guest of the day Dr. H Sudarshan Ballal, Chairman - MHEPL, Chairman-Medical Advisory Board. The promising journalist talent from the schools were also identified and recognized by way of the ‘Star Correspondent test’. 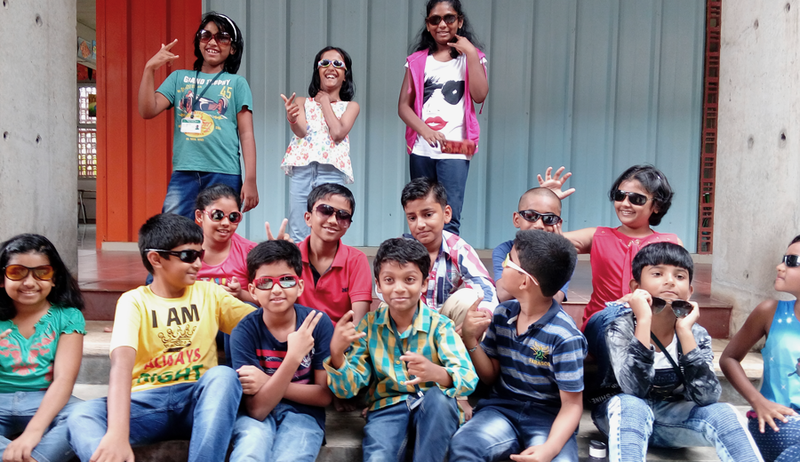 As a part of learning beyond the classroom and textbook, the students of Grade VI to VIII were taken for the visit to a Farm on October 14, 2017. The students were inquisitive and excited while exploring the Farm. 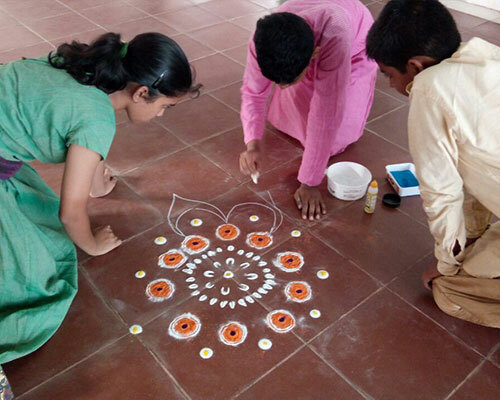 Varieties of crops like cereals, lentils, vegetables, fruits along with flowers and medicinal plants were observed by the students. 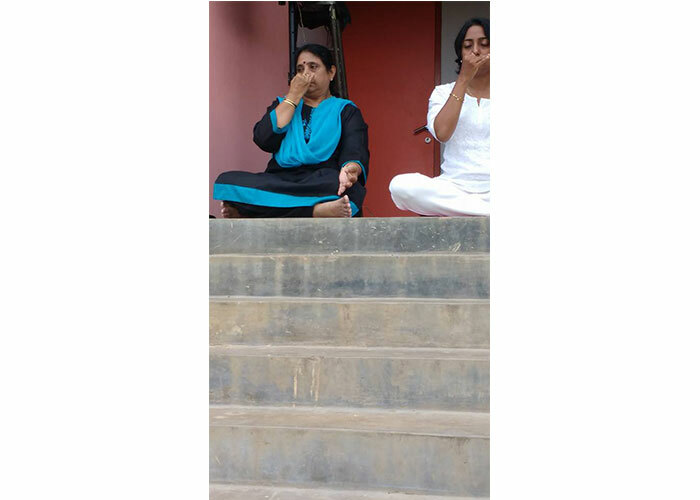 Cultivated, raw, groundnuts too were munched and enjoyed by the students. 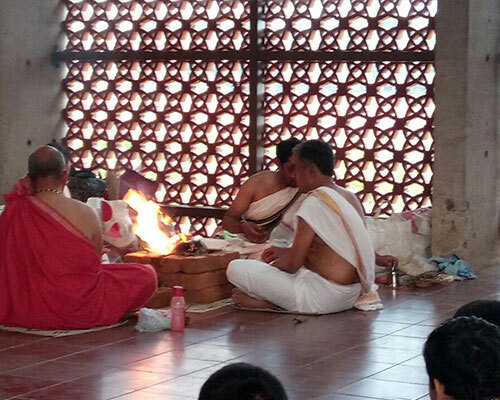 It was a memorable experience for all. We express our sincere gratitude, to the owner family of the lustrous green piece of nature for the memorable experience and their teaching! We left our houses at around 8am and reached school at 8:30 am. We met all our friends at school and left for IFC. It took us around 45 minutes to get there. After we arrived, we got the tickets and we ate our snacks. Then, the manager of IFC took us into the lounge for the welcome drink. After having the refreshing juice we started the tour. First we went to the 3D photo studio. All of us took really cool pictures. Next we went to the photo gallery where there were a lot of film sets to take pictures in. 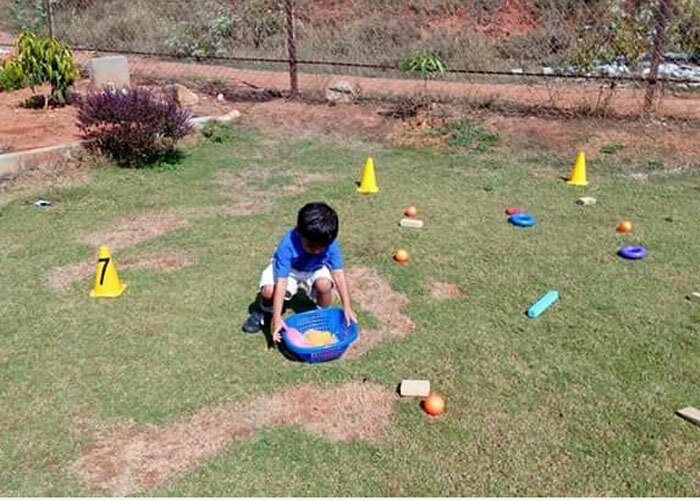 Then we went to an outdoor place to play a game. We went to a tribal museum where we could look at how the life and culture of the few tribes that were displayed there. After the tribal museum we were called to dance. What fun it was! Then we all took photos in front of all our favorite monuments. After all this we headed to ‘Bounce’, where we could play on huge trampolines. We had a nice lunch after which we played a few games. We visited a Dinosaur museum, where the models of all the dinosaurs were almost life like. It was scary. We visited the mirror maze and wound our way through it. After this, the most exciting part was to come: The pool and the artificial beach. We all splashed around in the pool. What a perfect way to cool down on hot summer day. Next, we went to the wax museum where we saw wax statues of many famous people. We went to ‘Ripley’s Believe it or not Museum’ where we saw unbelievable things which are actually true. Finally we got into the buses after a long and tiring day. It was indeed a wonderful day well spent!!! Hurray ! 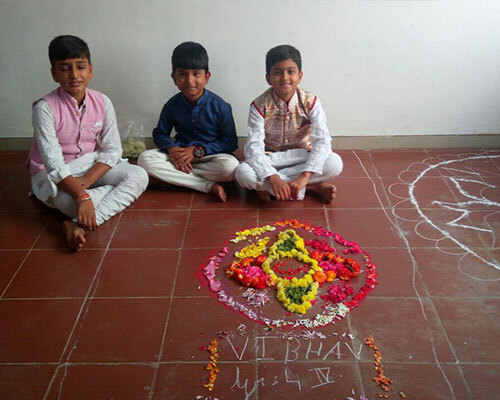 kindergarten celebrated Ganesh Chathurthi in school on 22nd August 2017.As part of celebration student vowed to make eco-friendly Ganesh using paper smash, carried it home as take aways. 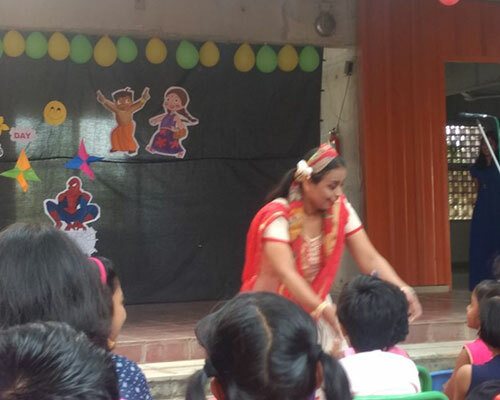 Children sang a Lord Ganesh song, during assembly and enjoyed listening to story about Lord Ganesh . Wow ! what a great day to have fun with friends . Kindergarten students celebrated friendship day on 3rd August 2017 by making friendship bands for their favourite friend. They hugged each other cheered. 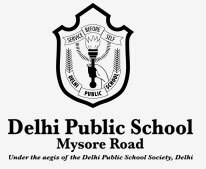 On 10th August 2017 Delhi Public School Mysore Road had organized a programme to celebrate Krishna Janmashtami and Independence day together . All the Students from kindergarten to high school, guests, parents, teachers, and non teaching staff were the eager spectators. 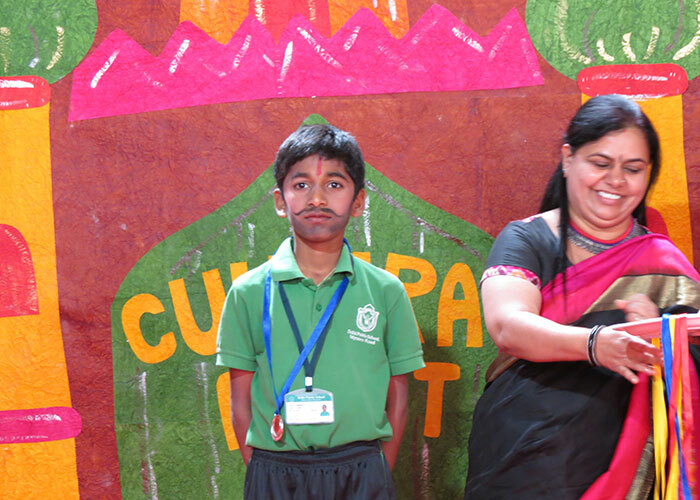 The Principal Mrs. Shashikala of Delhi Public School accompanied the chief guest Dr. Subramanya to the dias. 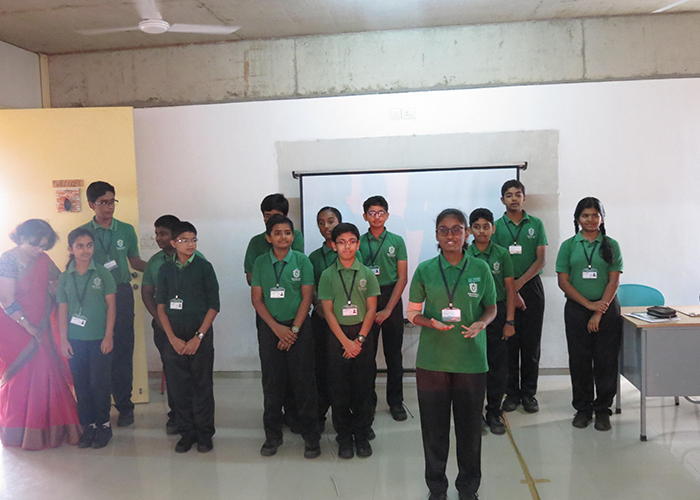 The programme commenced with an invocation song by the students of Grade VI ,VII and VIII. 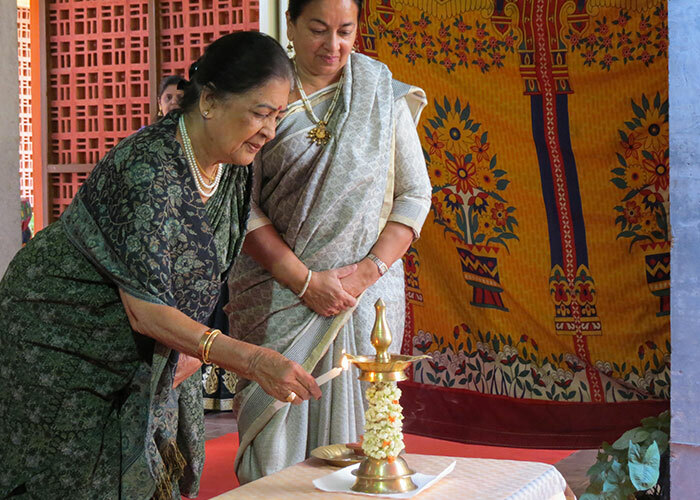 It was followed by the lighting of the lamp by the Principal and Chief Guest. 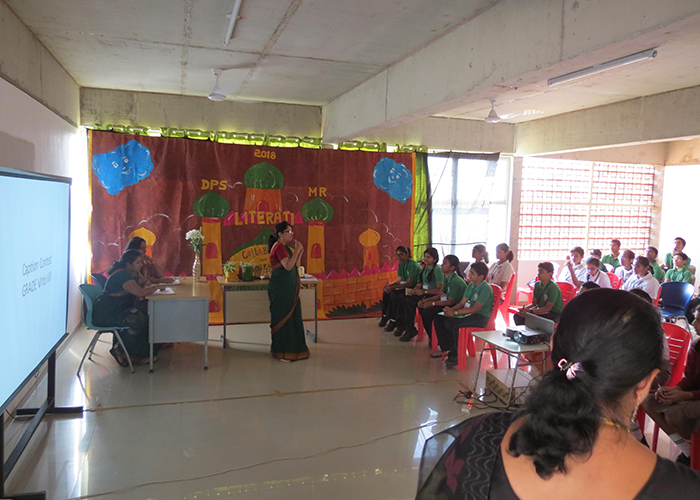 Mrs. Gayathri presented the welcome speech. 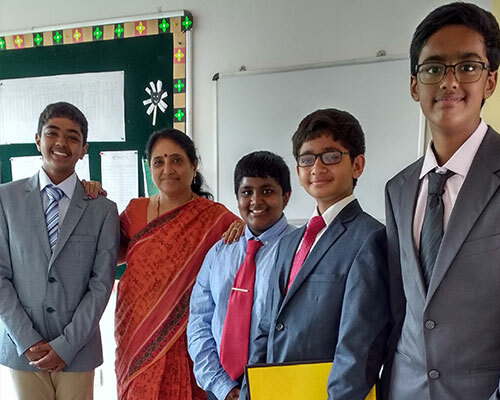 It was followed by the Investiture ceremony where the Principal Shashikala Madam presented the student council comprising of the head boy ,head girl and sports captain with the badges. They took the oath which was administered by the Principal to them to carry out their responsibilities. 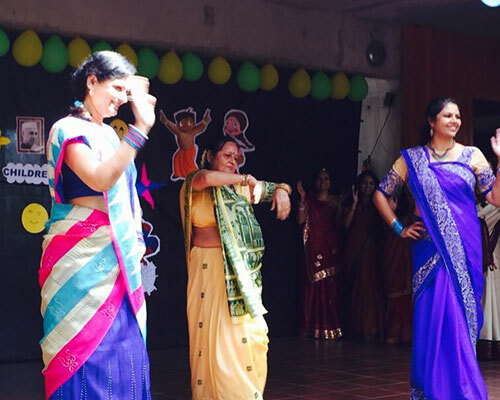 This was followed by the cultural programme. The students of Grade II and III sang a patriotic song. 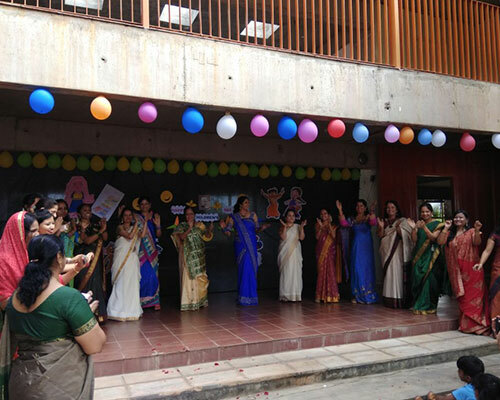 As a part of celebrating Krishna Janmashtami students of pre primary and Grade I were dressed as a Little Krishnas and Radhas and became the centre of attraction. 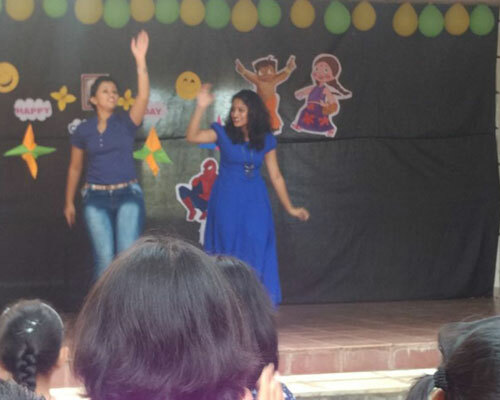 They entertained the audience with their group song and group dances. 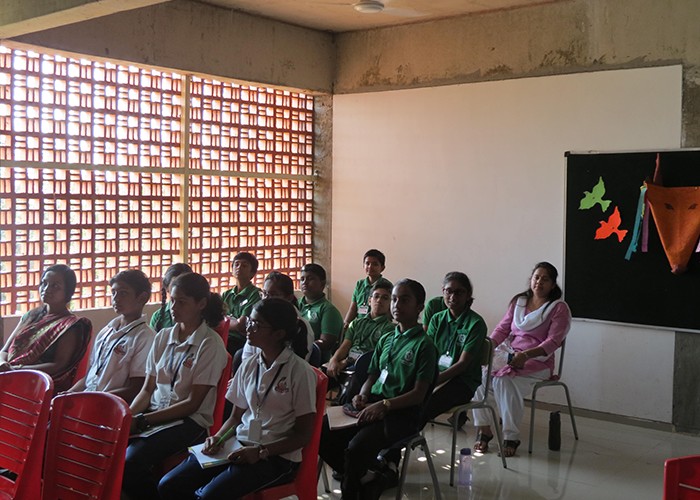 Roshini Kiran a student of grade VIII presented a speech in English reflecting on the independence struggle and leaders. 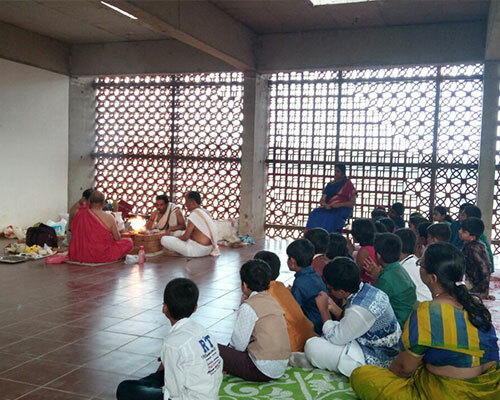 After the speech the students of Grade IV and V sung a Deshbhakti Geet . 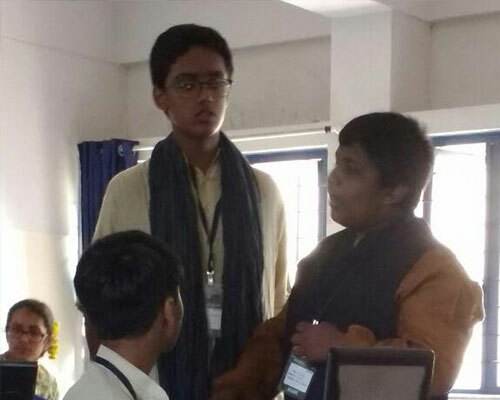 A hindi speech was delivered by a student of Grade VIII, Veer Gowda delivered a Speech in Hindi about the freedom struggle. 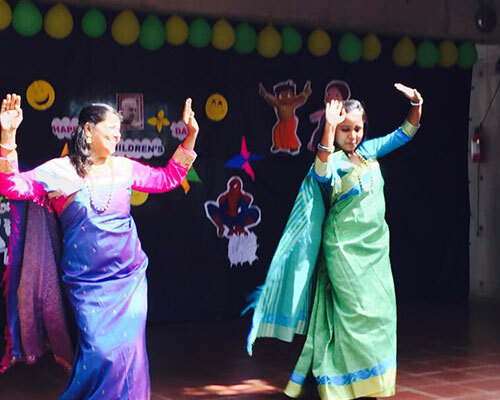 Last but not the least a students of Grade VI, VII, VIII performed a group dance which was filled with energy and their dance was really admirable. 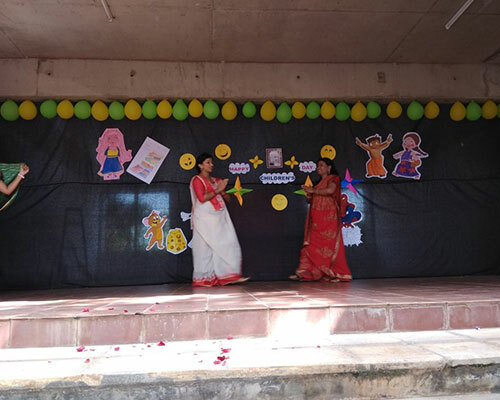 The Chief Guest Dr. Balasubrahmanya addressed the children about the values of celebrating the Janmashtami and Independence day in a unique way. 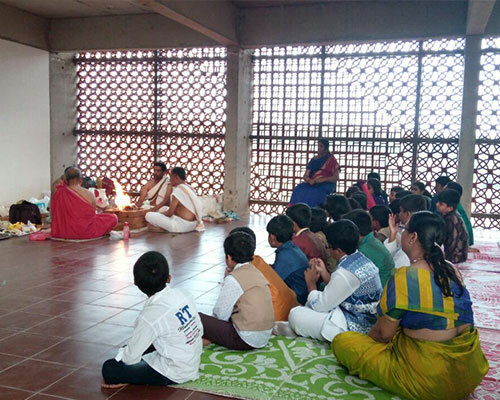 As the Programme was for children he narrated many stories of Krishna and captured the attention of students through his story narration skills. 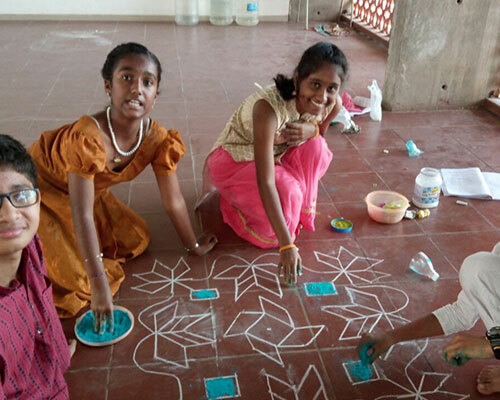 The Krishna – Sudhama story for children made them realize the value of good friendship . He also told the stories of independence sending across a message that being independent doesn't meant to live however we want but is to lead a good life with values and morals. Because freedom comes with responsibilities one should also know their rights and fundamental duties in Democratic India. At the end he gave a message to students asking them to be good, to do good and be patriotic. 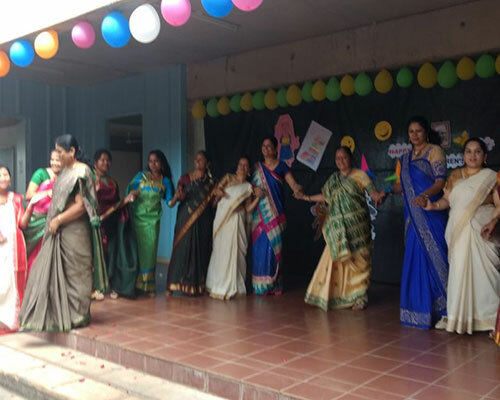 Ms. Padma Vinodkumar gave vote of thanks at the end thanking all the teachers, students and non teaching staff for a wonderful celebration. Kindergarten students made beautiful rakhis for their loving brother. They also demonstrated, how a sister ties a Rakhi for her brother on 7th August 2017 during activity time. Indeed it was such a treat to see the little ones enjoys bonding with each other.